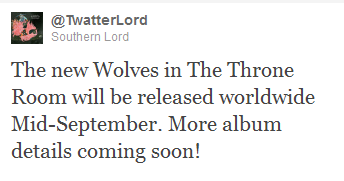 The new Wolves In The Throne Room album, at last. Granted, the details are hazy but there’s confirmation of its release, in September and we’re also told that it’s their best but that of course remains to be seen. 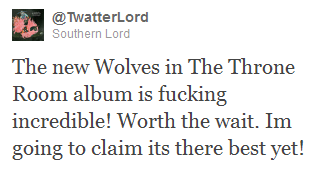 However, given the band’s consistency, it shouldn’t be anything less than stunning. 2009’s Black Cascade was a sublime piece of black metal that truly brought the listener on a dismal journey. Listen to ‘Ex Cathedra’ below is you’re still not convinced.